The work opens with a foreword: You are the recently appointed Earth's ambassador to Aleheart Colony. Since the progress of the ice is threatening the entire planet your mission is to come to an agreement with the local representatives to move all the Aleheart inhabitants back to the Earth. Next the program asks whether the player has played interactive fiction before. You are at the lakeshore under Cordia Peak. A narrow track takes you along the side of the glacier to the town. You are carrying a chronometer, a grey undersuit, shoes and socks. Includes a novice mode, as well as a gradual hint system, and commands to refer to the characters/rooms/exits introduced in the work. Occasionally, the time of the day on the status line plays a role in the piece. The work uses a goal directed approach to develop the plot (sometimes by means of reminders/thoughts/notifications). Also the scoring system keeps track of the accomplishment of such goals. Implements and reacts to a rich assortment of hundreds of verbs denoting the various types of possible actions. Additionally, as a novice-friendly feature, some verbs have a lot of synonyms: attack (at least 14), take (at least 16), etc. During the introduction, the digital cover art is displayed. A simulationist approach to model a sort of electrogravitational(?) repulsion. The work has multiple endings that are in connection with the main problem: a moral decision. Cover art by Echo Chernik. Alpha-testing and design consultation: Dan Shiovitz. Beta-testing by Sam Kabo Ashwell, Jacqueline Lott, Alexandre Owen Muñiz, Graham Nelson, Andrew Plotkin, Dan Shiovitz, A. Short, J. Robinson Wheeler and Storme Winfield. IF Comp 2006: 1st place of 43 games. XYZZY Awards 2006: Winner of Best Setting and Best NPCs. Also finalist for Best Game, Best Writing, and Best Individual Puzzle (choosing the present). Download Floatpoint.zblorb from the IF Archive. Emily Short's Interactive Fiction: My Work - Has a listing for Floatpoint. Floatpoint (archived) - at Baf's Guide. Floatpoint (computer game) at Wikipedia. Floatpoint - at IF Ratings. 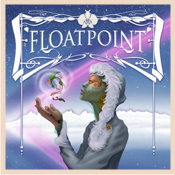 Floatpoint - at Jay Is Games. Review (in Spanish) by Baltasar. Review by Jason Devlin (and Mike Snyder). Review by James Hall (Yuki). Floatpoint - at SPAG - by D. J. Hastings. Review and Injustice! : an IF Comp 2006 review package / rant by Valentine Kopteltsev. IF Comp 2006: General observations by Maureen. Review by Jerome C. West. Walkthrough. (The corresponding errata sheet is at the Interactive Fiction Wiki). SPAG #49 - Contains a SPAG Specifics analysis by Jim Aikin. Comments on Jim Aikin’s SPAG Specifics article on Floatpoint - Emily Short's answer. Some suggestions for amusing things to do. (IFWiki). A list of unanswered conundrums. (IFWiki).